Our vision is to see relational, spiritual, social and material transformation of communities. Hope4Africa is a ministry of All Nations www.all-nations.co.za. We relate closely to the All Nations family in Cape Town, from where we receive coaching, accountability, training and care. 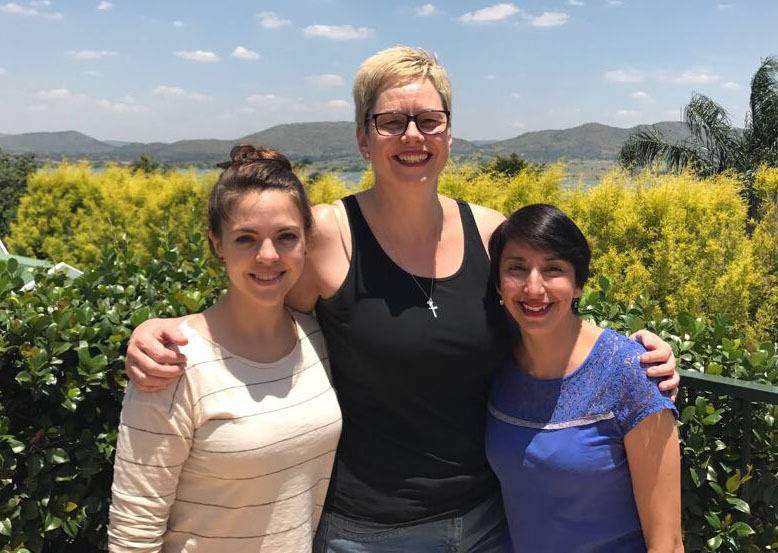 Hope4Africa currently has three committed team members: Brooke, Ruth and Noelia. Ruth was born in Wales and has lived in South Africa since 2004. She moved to South Africa as a missionary to get involved in community development. Once here, she says that she saw poverty as she had never seen it before and her heart was galvanized for the poor. Her passion has always been to see marginalized people drawn into relationship with God, and the work of Hope4Africa enables her to be a part of community development in impoverished and neglected communities. She believes that the gospel of Jesus is practical in its out-workings and loves to serve communities in a practical way. 2011 while on a Discipleship Training School with Youth With a Mission, (YWAM), Brooke heard the call to Africa. She had been in Africa for about seven months doing various ministries when she got in contact with Hope4Africa and felt the Lord leading her there. Her passion is to see the redemptive work of the cross in action in communities, families, and individuals in Africa. Hope4Africa gives her the freedom to go after her passion and really build meaningful things right where she is. Her simple belief is that Jesus is enough to transform, heal, and redeem any nation, city, or culture. Having spent many years involved with discipleship in her home nation of Chile, Noelia sensed God calling her to work with Hope4Africa in Johannesburg. Though she is the newest member of the team, Noe brings great skills and experience to the ministry. Her primary passion is teaching English as a foreign language, so Noelia leads English classes in a variety of inner city communities and Johannesburg prison. Noelia is committed to empowering people through teaching and discipleship. God has great compassion for the poor and offers them genuine hope.